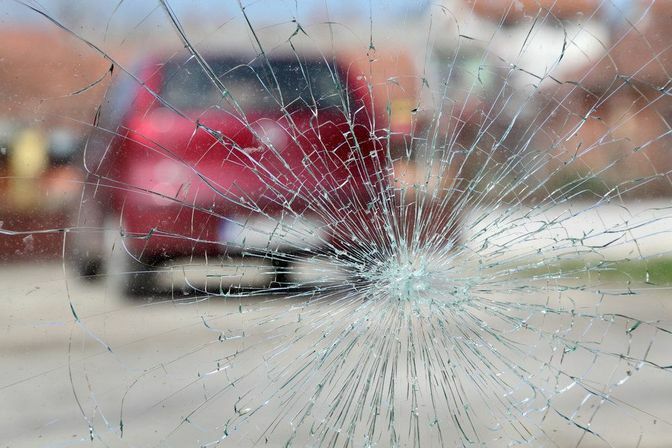 If you or a loved one has been injured in a traffic accident in the greater Palm Coast, FL, area, car accident lawyer Joe Horrox can help you pursue justice. He has represented clients in personal injury cases for more than 30 years. This, combined with his familiarity with Palm Coast traffic patterns, allows Mr. Horrox to provide you with the representation necessary to help you rebuild your life in the wake of an auto accident. If a motorist's negligence has caused you to suffer a serious injury, a catastrophic injury, or the loss of a loved one, please call (386) 258-2121 right away or contact the firm online. Mr. Horrox offers consultations at his Daytona Beach office, or, when appropriate, he can travel to Palm Coast and meet you at your home or in the hospital. A car accident can have far-reaching consequences. With easy access to the shoreline, Daytona Beach, and many exciting area attractions, Palm Coast is home to a growing population. In fact, since 2000, the population of this city has effectively tripled in size. It is a great place to live, with one noteworthy drawback -- the increasing number of residents, commuters, and tourists has contributed to an increasing frequency of automobile, truck, and motorcycle crashes. Visitors to Disney World and the numerous special events in the Daytona Beach area such as Bike Week, Biketoberfest, and the Daytona 500 mean heavy traffic influxes regularly impact Palm Beach. Interstate 95, Highway 1, and Palm Coast Parkway are common sites of serious accidents year-round. A recent incident on the Parkway is representative: a mother and child were tragically killed in a fiery crash. After an accident, it is important to speak to a motor vehicle accident attorney as soon as you can. Determining liability, or who is at fault after a car crash, is crucial to the outcome of your case. Running along the eastern coast of Florida and dissecting Palm Coast, I-95 is the longest north-south Interstate in the U.S. This highly traveled thoroughfare has long been known as the venue for countless serious accidents. In 2010, Florida’s section of I-95 had the distinction of having the most fatalities of any interstate highway in the country. Obtaining immediate medical care should always be the first priority if you are the victim of an accident on the road. Even if you do not feel you are seriously injured, symptoms of whiplash or a neck or back injury may begin to arise in a few days, and the earlier you begin to treat, the better. It is also important to speak to a motor vehicle accident attorney as soon as you can. Determining liability is crucial to the outcome of your case. Insurance adjusters will be trying to avoid high-dollar payouts, and will likely try to deflect blame from their insured. Retaining an experienced personal injury attorney to represent your interests is essential. Joe Horrox Law provides comprehensive accident representation, handling your property loss and injury claims, and making sure that you receive treatment from the appropriate health care providers, given the nature and extent of your injuries. As a review of our client testimonials will confirm, we are diligent and dedicated, working hard to ensure your best possible outcome. This means full and just compensation for substantiated injuries and losses. Joe Horrox does not ask for an up-front retainer fee. Instead, he offers legal help on a contingency basis. This means you do not pay legal fees unless and until we have obtained a settlement or jury award for you. If another party's negligence has caused you to suffer any type of serious injury in an accident, or a loved one has been injured or killed, please call (386) 258-2121 today. In the meantime, do not speak with anyone representing the responsible party. Instead, inform them that you will be deferring their inquiries to your legal counsel.